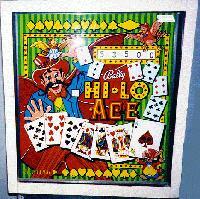 Our pinball machines: Alligator, Hi-Lo Ace, Top Score, Haunted House, and Addams Family. It's all my brother's fault. Really. I never thought I would have my own pinball machine, until the day he called and told me about the auction. Read all about it in The Alligator Story. My 1999 Xmas present to myself -- a Gottlieb Top Score. 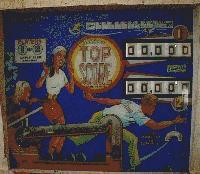 scans of the playfield plastics. 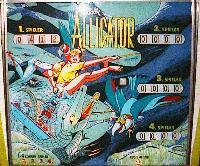 Pinkid digitally restores backglasses, one of his projects is a Gottlieb 300, a 4 player version of Top Score. YES! 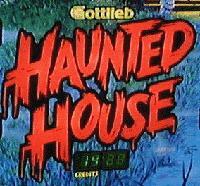 I finally got the Haunted House I've been looking for! The IPD entry for Haunted House. 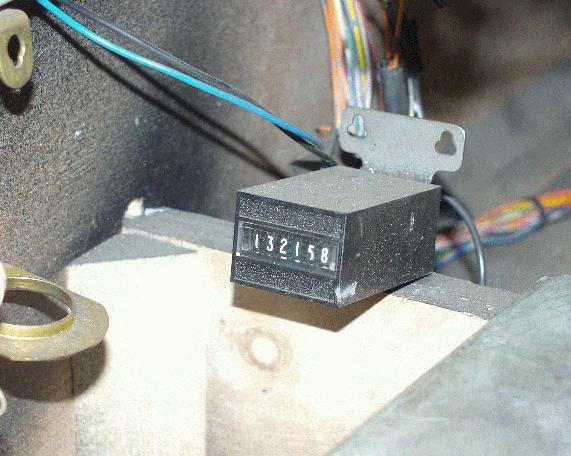 -- The IPD lists Bally's Elektra as a 1981 three-level machine. 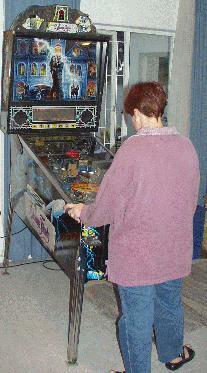 Stork's Nest Pinball has Gottlieb System 80 info, including replacement driver boards and power supplies. The IPD entry for The Addams Family. Read all about it! The story, the mods, and the dreaded previous owners.